Our vault doors can be fitted to existing strongrooms and newly poured strongrooms. Guardall Vault Doors have unique features as shown below and can be ordered in 3 different grades. Get in touch with Guardall today for more information. Locking System: The Door’s robust operating wheel activates a full length locking bar, insuring maximum (top to bottom) engagement with the door jamb. A special Anti-lockout system virtually insures that there is no lockout due to a combination lock failure. Built in Ventilator: A standard emergency ventilator is built into the door frame, eliminating the need for unsightly expensive ventilation holes found in most vaults. Additional Security: Built in micro switch to monitor the status of the door locking. 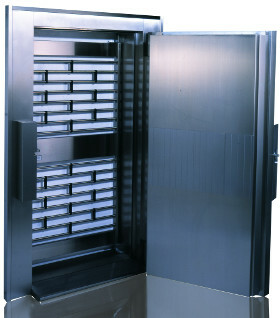 Our modular vaults are manufactured so that we can accommodate most unique designs and configurations. 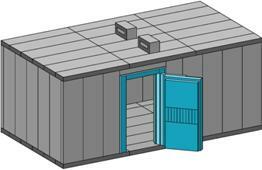 These modular vaults can be extended or reduced in future years if the customer requires so. Guardall offers 4 kinds of modular vault grades. 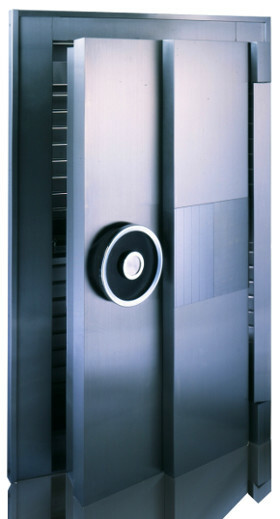 GUARDALL Modular Panel Grade M – this modular Vault panel is United Laboratories tested and certified with the rating U.L.608 class M. This means it can withstand burglary attack, by common mechanical tools, electric tools, cutting torches, or any combination of these means, for no less than ¼ Hour. The wall thickness is 60mm and a weight of 175KG/M. 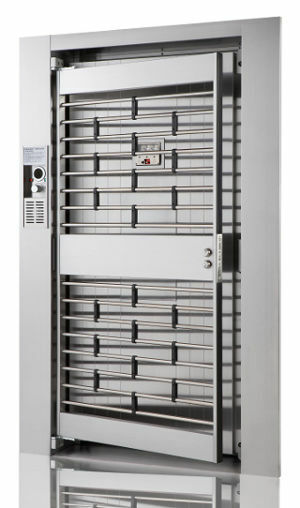 GUARDALL Modular Panel Grade I – this modular Vault panel is United Laboratories tested and certified with the rating U.L.608 class I. This means it can withstand burglary attack, by common mechanical tools, electric tools, cutting torches, or any combination of these means, for no less than 1/2 Hour. The wall thickness is 90mm and a weight of 262KG/M. GUARDALL Modular Panel Grade II – this modular Vault panel is United Laboratories tested and certified with the rating U.L.608 class II. This means it can withstand burglary attack, by common mechanical tools, electric tools, cutting torches, or any combination of these means, for no less than 1 Hour. The wall thickness is 120mm and a weight of 350KG/M. GUARDALL Modular Panel Grade III – this modular Vault panel is United Laboratories tested and certified with the rating U.L.608 class III. This means it can withstand burglary attack, by common mechanical tools, electric tools, cutting torches, or any combination of these means, for no less than 2 Hours. The wall thickness is 120mm and a weight of 525KG/M. Stainless steel bar type day gate with one key lock or dual key locking.